Tony Parker at ECCC, Mayday 4 Pages, Faith #9 and Agents of Pact #1 Covers and Consignments! Emerald City Comic Con is this weekend and Tony Parker will be in attendance. He can be found at B15 in artist alley (see map below). 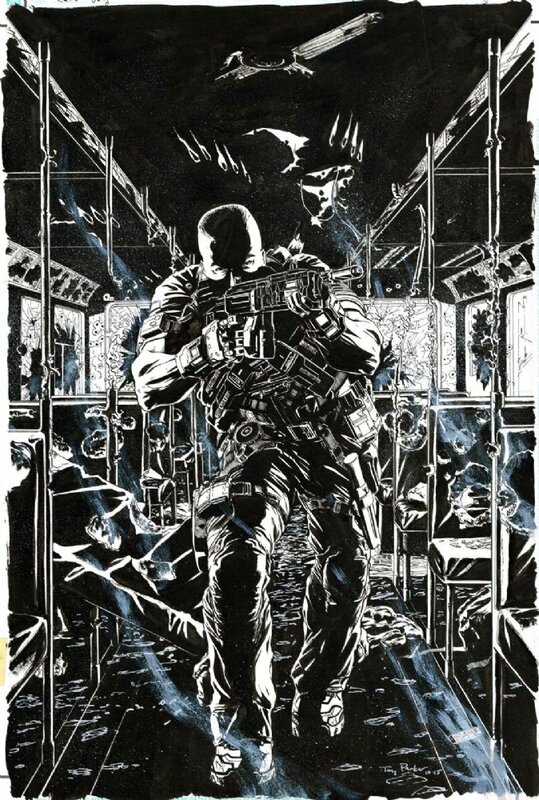 Tony will have a sampling of original art available including his Call of Duty cover (see image in header), pinups, RPG art and some bargain pages. Tony will also be accepting a limited number of convention commissions. For those interested in other art from Tony or who just can't make it to the show, Mayday #4 originals are all live in Tony's gallery. There you will also find pages from Mayday #1-3, This Damned Band, Mass Effect and more. Faith #9 and Agents of Pact #1 are out this week, both featuring covers by Sanya Anwar! Be sure to drop by your LCS to pickup the books. The originals are both currently available in Sanya's gallery. New consignment art has been added to the site, check out the original art page then search/view by artist.